Edwidge Danticat had long been scared off from Carnival by a loved one, who spun tales of people dislocating hips from gyrating with too much abandon, losing their voices from singing too loudly, going deaf from the clamor of immense speakers, and being punched, stabbed, pummeled, or fondled by other lustful revelers. Now an adult, she resolves to return and exorcise her Carnival demons. During her journeys she traces the heroic and tragic history of the island, from French colonists and Haitian revolutionaries to American invaders and home-grown dictators. 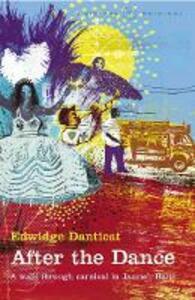 Danticat also introduces us to many of the performers, artists, and organizers who re-create the myths and legends that bring the Carnival festivities to life. When Carnival arrives, we watch as she goes from observer to participant and finally loses herself in the overwhelming embrace of the crowd. Part travelogue, part memoir, this is a lyrical narrative of a writer rediscovering her country along with a part of herself.